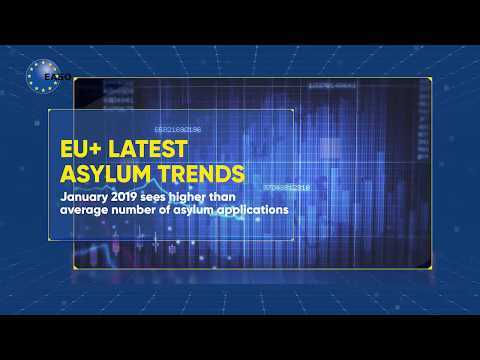 Recent analyses released by the European Asylum Support Office (EASO) reveal that the number of applications for international protection lodged in the EU+ in June 2018 registered a slight decrease compared to the previous month i. Approximately 51 300 applications were lodged in June; about 1 600 fewer than in May, while in the first half of 2018, some 301 390 applications were lodged in the EU+, a 15% decrease compared to the first half of 2017 ii. Approximately 2.5 % of all applicants in June were self-claimed unaccompanied minors (UAMs) iv. As has been a regular trend, most UAM applicants were from Afghanistan, Eritrea and Pakistan, while the highest concentration was among applicants from Vietnam (15% of all Vietnamese applicants claimed to be UAMs), Gambia and Eritrea (11% each). At the end of June, there were 420 238 applications awaiting a decision in first instance, around 3 000 fewer than at the end of Mayv. Pending cases are an important measure of the workload that national asylum authorities face, as well as of the pressure on the national reception systems. Any further information may be obtained from the European Asylum Support Office on the following email address: press@easo.europa.eu. [i] The EU+ is composed of 28 EU Member States plus Norway and Switzerland. 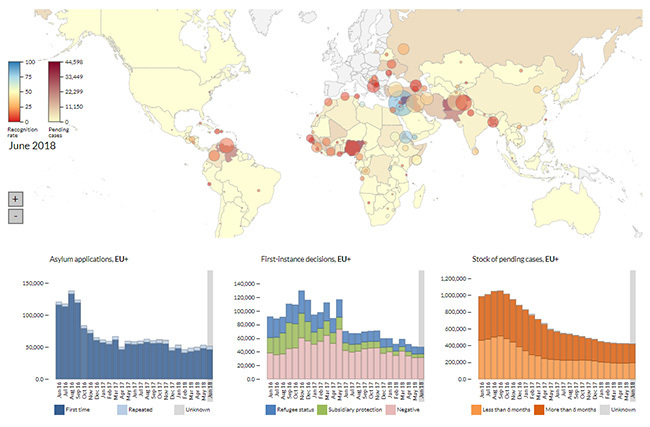 Data on applications for international protection were available for 27 EU+ countries. Monthly data from two EU+ countries were missing in both May and June. [ii] The discrepancy is likely to be narrower, due to differences in data missing for the two reference periods. [iii] To avoid sensitivity to low numbers. [iv] Not all EU+ countries report on the number of UAMs, thus the total number is likely higher. [v] Data on pending cases were available for 25 EU+ countries.